Do you Want a cost-effective way to update your kitchen in Denver Co.? Kitchen Cabinet Painting Denver can give you a whole new updated look without breaking the bank! If you are considering replacing your cabinets, wait! If they are in good repair, refinishing them could save thousands of dollars. Call Kitchen Cabinet Painting Denver for expert painting and cabinet refinishing, of cabinets in any room in your home or office. We’ll tackle any cabinet painting project, with a fresh coat of stain or paint. With over 35 years of kitchen cabinet painting, experience, our painters are unsurpassed refinishing cabinets in Denver Co. Let us refinish your cabinets and extend the life of your investment. Kitchen Cabinet Painting Denver takes great pride in offering affordable solutions to kitchen remodeling. As Denver, kitchen cabinet and cabinet refinishing, remodeling contractor we can update your kitchen and achieve the look you are envisioning at a reasonable price. Get that new kitchen that you have been dreaming of at a fraction of the price when you paint, rather than replace your cabinets. When you call 303-573-6666, for a cabinet painter in Denver, you’ll be instantly impressed with our professionalism and ease of scheduling a consultation. Our mission is to “wow” you with how quickly and inexpensively we can update your home And given your kitchen cabinets a factory finish In any selected color. You can pick your colors through either Benjamin Moore or Sherwin Williams and we can custom match to their colors. Add some new accents and update hardware and you’ll have a new kitchen to enjoy! The skilled Denver cabinet painting crew from our professional Kitchen cabinet painting, and cabinet refinishing, company follows best practices for staining and painting cabinets that are as durable as they are beautiful. We service all areas of Denver, Colorado including,Highlands Ranch CO, Parker Co, centennial Co, Castle Pines Co, Castle Rock Co, and all of Douglas County, Lakewood CO, Littleton Co., Jefferson County, Broomfield, Thornton, Littleton, Arapahoe County, Adams County and all of Denver County, Centennial CO, including Boulder Co, Colorado Springs CO and the entire state of Colorado. Superior Colorado, Louisville Colorado, Frederick Colorado, Longmont Colorado, Loveland Colorado, fort Collins Colorado, Lafayette Colorado, Erie Colorado, and Firestone Colorado. First, Your cabinets are sanded lightly or stripped to remove old paint or scuffed. Finally, a rich-looking, long lasting paint or stain is applied. The result will be professionally finished cabinets that look great and fit your budget. 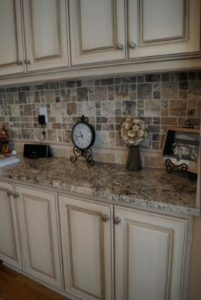 Kitchen Cabinet Painting Denver can give those worn cabinets a facelift! Call 303-573-6666 today to schedule a free consultation and written quote. Refinishing kitchen cabinets in Denver co. requires skill and precision that Kitchen Cabinet Painting Denver is well known for. We frequently get called to refinish cabinets in Denver, and can create the style and color scheme that you wish for. Has your kitchen become dull and dated? Painting your kitchen cabinets is the quickest and most economical way to update your kitchen. Get a new kitchen upgrade at a price you can afford. Now is the perfect time for you to rejuvenate the focal point of your home. Kitchen Cabinet Painting Denver can also add some serious spice to your Colorado, bathroom cabinets with a fresh coat of stain or paint. The professional Cabinet refinishing and kitchen cabinet painting, painters at Kitchen Cabinet Painting Denver are outstanding at bathroom cabinet refinishing. Call the experienced Denver co. cabinet painters and watch them use their passion and skills to transform your bathroom cabinets and enhance their beauty. Your bathroom cabinets will look great again with a quality finish. To see more kitchen cabinet painting in denver co, tips click on the link below.